Bhangor protestors want speedy justice for the dead & assurance from Mamata. What's next? At a time when the Bengal government is making a desperate attempt to bring peace to the Kamarait village in Bhangor, by trying to bring back cordial relations between the police and villagers, the protesters under the banner of Jomi, Jibika, Poribesh O Bastutantra Raksha Committee have decided to continue their protest. The villagers are demanding a CBI probe into the death of two protesters during the violence that took place last week over land acquisition to set up a power project of the Power Grid Corporation of India Limited (PGCIL). While the protestors of the Jomi, Jibika, Poribesh O Bastutantra Raksha Committee have already decided to organise a huge rally on 30 January at College Street, demanding the arrest of the accused who were involved in the death of two protesters, the state government has already claimed that the villagers have been misled by some CPIM(L) activists. The Bengal government have also added that they are against land acquisition. State Power Minister Sovan Deb Chatterjee said, "People in the village has been misled and we have been successful in trying to instill confidence among the masses that we are not going to grab their land as the AITMC is against forcible land acquisition." According to the protesters although they have co-operated with the police and have helped them remove all the wooden logs that were lying on way to Kamarait village, they still want the chief minister to personally meet the protesters along with the speedy arrest of the accused. Rahim Khan, a protester of Jomi, Jibika, Poribesh O Bastutantra Raksha Committee said, "We will continue our protest till the accused are punished as it's still unclear who has fired on the protesters." In the wake of the Bhangor unrest, with most of the police vehicles being destroyed by the protesters, the state government has been very proactive and have decided to bring a law in the next Assembly session to punish offenders who destroy public property. The law will also allow the seizing of properties that belong to offenders if they destroy public property. 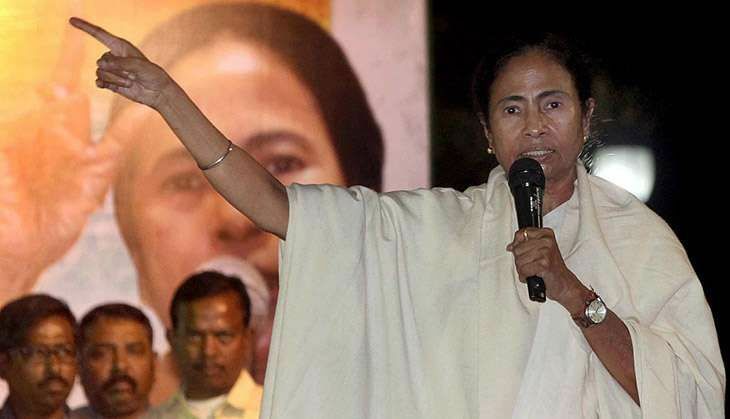 On Friday at a programme on Khadya Sathi Divas, Mamata Banerjee said, "We won't tolerate anybody who destroys public property as it takes time to create things and our government won't allow anybody, be it the Opposition parties, the media or the protesters, to destroy government property." The Jomi, Jibika, Poribesh O Bastutantra Raksha Committee has been formed by the Maoist CPI(ML) Red Star which is allegedly spearheading the movement against the sub-station project. The Red Star activists have already motivated the people about the ill-effects of setting up a power station in their area. According to the protestors, simmering discontent still persists in the village a week after the violence broke out, although AITMC leaders have tried to pacify the villagers and have assured that no land acquisition will be taking place without the consent of the villagers . Another protestor Mohd Rafi said, "Many villagers are still petrified after that incident when two protestors were killed in an encounter and so they want assurance from the chief minister. Although schools and colleges have been opened, but children are still frightened to go outside especially during night." In the Cabinet meeting that took place on Friday, it was decided that all District Magistrates would be asked to check, and inform the CMO's office, the characteristics of the land in their districts before allowing suitable agencies to set up projects. The projects will only be allowed post suitable recommendation from the CMO's office. TWEET THIS Bhangor protests to continue unless Mamata assures speedy justice to the dead, say protestors Bhangor protestors want speedy justice for the dead & assurance from Mamata. What's next? READ NEXT >> Punjab polls: Voters look for change in reserved seat Banga. Advantage AAP?